Clearwater Beach has been named the “Best Beach in America” by Tripadvisor for 2019 beating out Siesta Key down south. Clearwater Beach is known for powdery white sand, beautiful sunsets, and really embodies the heart of Florida. Tripadvisor analyzed the quantity and quality of the reviews for beaches over a 12-month cycle to decide on the list. Clearwater averages 361 days of sunshine every year and holds the record for consecutive sunny days at 768. The home of the Pier 60 Sugar Sand Festival and Clearwater Beach Uncorked has a number of beautiful resorts and hotels popping up every year along the Gulf of Mexico. You really have not watched a Florida sunset until you’ve seen it at the top of the Grand Hyatt on Clearwater Beach with a drink and snacks in hand at their pool deck. What are some of the top ranked restaurants in Clearwater Beach according to Tripadvisor? Have you always dreamt of visting Europe? How about visiting the Tower of London or Big Ben? Norwegian Airlines could make that a reality with their NEW direct flights on Boeing 787-9 Dreamliner jets from Tampa to London that begins service on October 31st, 2018. Norwegian is the world’s sixth largest low-cost airline and carried around 33 million passengers in 2017. Direct flights are now available and one-way airfares go for as low as $214. You could travel roundtrip for less than $500 with tax from Tampa. Visit London has a guide for travelers with what’s happening month by month. During Hurricane Irma my family and I voluntarily evacuated from Florida when we saw that Irma could arrive as a Category 3 or 4 hurricane in our hometown and be devastating. We decided to head to South Carolina, thinking it would be far away enough from the storm since Irma was turning northwest and was about 800 miles from our home. Searching online we found Crowne Plaza Charleston Airport Convention Center hotel. Holding a 4.5 rating online on major websites – we decided why not and booked a stay at $135 a night for 3 days. The hotel was inland from Charleston – far enough not to seriously flood from any serious storm surges. We experienced a nightmare stay there. Everything started off alright when we arrived. Our first hiccup was when we sat at the bar after arriving and the bartender there was clearly ready to go home and waiting for someone to cover his shift. He was irritable and unfriendly. He claimed his home was in a flood zone and he wanted to get some things done there. I definitely understand that, but why is that the customers problem? Some other customers showed up at the hotel and he was completely friendly to them, which was surprising. The next day was a mostly normal day until we came home to our hotel room and found a ROACH inside our room. Clearly the room had been sprayed with some kind of poison for bugs because the roach was upside down, but it was still moving and it moved when we entered the room. 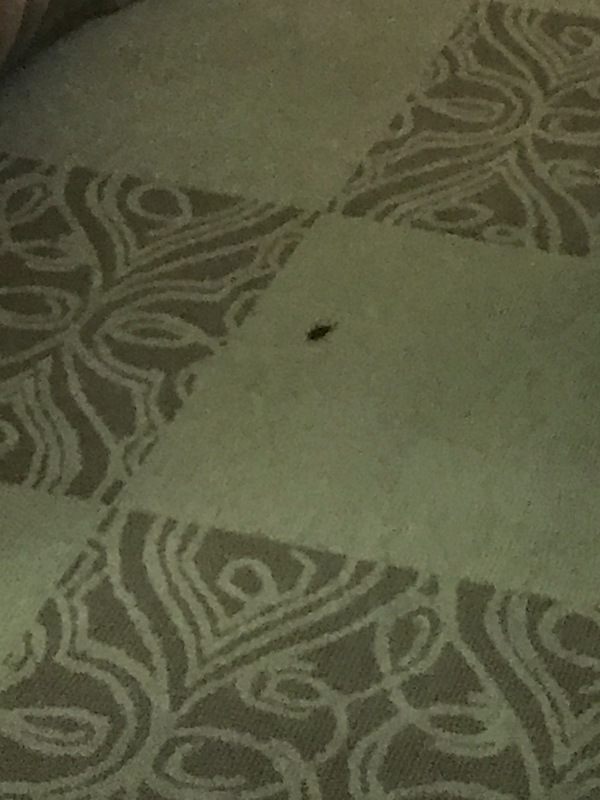 I have NEVER seen a roach in a hotel room before. It was disgusting. I reached out to the hotel’s management and they told me something would be done the next day within 24 hours, but we never heard from the manager and nothing was done. The next day at the hotel we found notices put up that the service staff was going to be limited because of Hurricane Irma’s outer bands. Some staff had left to flee the tropical storm winds and rain because they live in flood zones. Fair enough – some prior notice would have been nice though. There was no room service during our entire stay at the hotel even when the staff was actually there. Due to the storm, changes were made to the restaurant. The hotel said they would offer buffet service at prices ranging from $10-$18 per person to make up for the staff shortages. This was when we found out the hotel had no real generator. Only the lobby and hotel room keycards were on the generator. There was no Wi-Fi and no electricity to any of the rooms. Most of the restaurants closed around us because of the storm and because of the electricity. People in South Carolina seemed spooked by Irma’s tropical storm winds and rain because they were hit by Hurricane Matthew. However, in reality only flood zones were impacted and the winds were not beyond 25mph with some occasional gusts. The bartender assured us not to worry because they would have sandwiches for the guests now that the restaurant had no power. 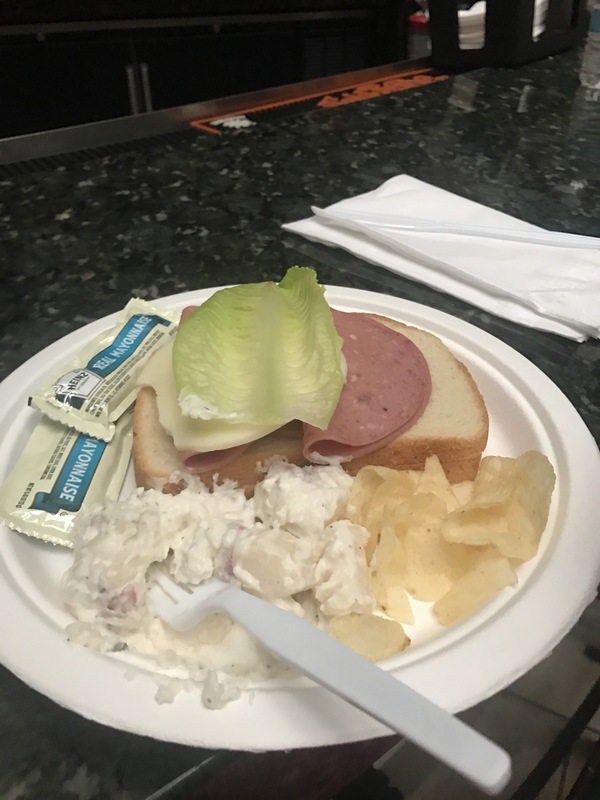 Then we found out they wanted to charge $10 per person to make a sandwich with 2 sides and you had to make it yourself. To circle back: the hotel had no electricity, no Wi-Fi, no room service, no restaurant service, and STILL wanted to charge guests for cold cuts and bread $10 per person?! It’s price gouging in my book and I made sure to alert the Attorney General of how a hotel treats people during a storm. We literally had to shower and pee in the dark. 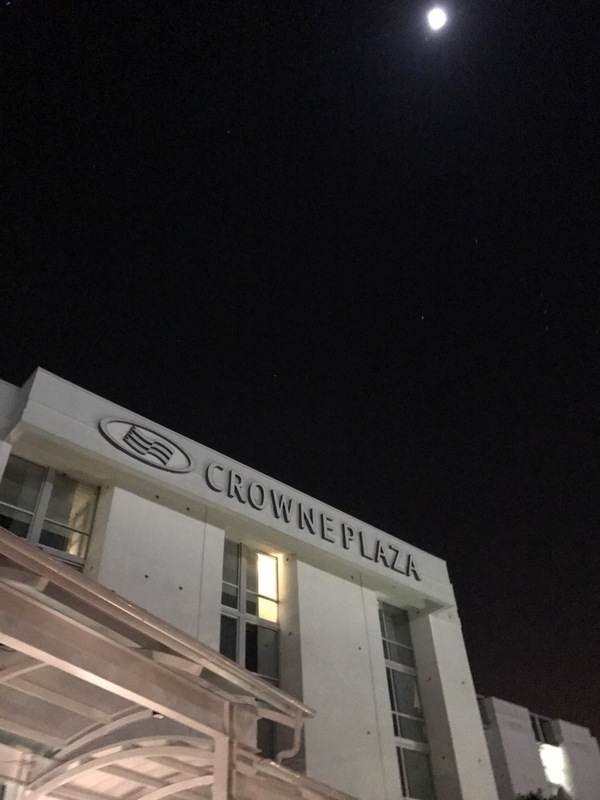 Most of the guests at the Crowne Plaza were from Florida, all seeking shelter from Hurricane Irma. It would been a kind gesture to maybe give guests a discount or some kind of food to get through the storm, but the hotel did not do that. As soon as the hotel electricity received power over 9 hours after the power failed, my family and I prepared to shower, pack our bags, and get out of there as quickly as possible. When we were checking out from the hotel, they didn’t give us a receipt and apparently they had no printer. We paid almost $500 and were frankly treated like trash. Hotels are about hospitality. The hospitality industry is all about making experiences. No doubt the hotel was short staffed because of the storm, but they could have been more hospitable to their guests. They treated people with contempt and tried to profit off people’s misery. What happened to Southern Hospitality? I will never stay at a Crowne Plaza hotel ever again and I don’t suggest that you do either. Looking for a restaurant to spend New Years Eve with friends and family in Tampa Bay? I have you covered. :] Look below for some recommendations. The Columbia – Ybor City: 3 dinner menu options for New Years Eve: Limited Ala Carte Menu, Dinner with Flamenco Dance Show, or New Years Celebration in the Ybor Cafe. You can make reservations here or call (813) 248-4961 for more information. St. Petersburg: Pre-fixed, 5-course menu for $49.95. The Columbia Cafe: Regular menu – open until 5PM on New Years Eve. El Puerto Restaurant & Grill – Open until 2AM on New Years Eve for some delicious Latin American cuisine. They will provide the traditional Spanish 12 grapes of luck called doce uvas for customers as well. Ocean Blue Sushi – Featuring a New Years party with the usual 1/2 off beers, wells, house win, sushi, and appetizers after 10PM in addition to $60 bottles of Absolut (bottle-service available), $30 bottle of champagne, $6 on all premium liquors/$4 on all absolut vodka, $4 Ocean Blue Cocktail Champagne, $2 jello shots. DJ Bootron will be spinning until 3AM. The Rack – $10 all you can drink special from 11PM-1AM and 50% off everything for everyone after 1AM. Call 813-250-1595 for more details. Spanish Restaurant & Toma Bar – New Years Eve dinner including a New Years hat and favors, glass of wine/sangria/beer, choice of appetizer, specialty house salad, entree, dessert, grapes, and a champagne toast at midnight with live music and flamenco dancing. $65 per person.